Check out our BOM Programs! This BOM comes as 10.5" Square packs for months 1-8. 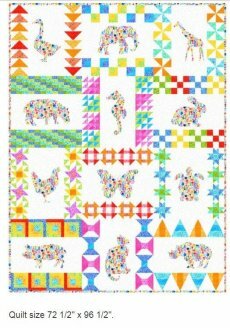 The 9th month you will receive border and binding fabrics to finish the 76" by 87" quilt top. Registration is $27.00 and includes the full pattern. Months 1 - 9 are $24/month. Click the Image to register and choose your color option! Floral Menagerie - this cute animal quilt is almost sold out! 1 complete kit and 1 monthly kit left. BOM Registration covers pattern and is $25.00; $18/month for 9 months. Click the photo to register for this BOM and choose the complete kit or the monthly option. 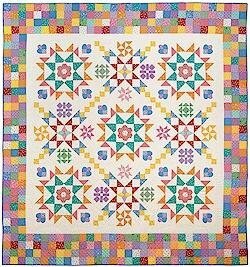 Aunt Grace's Basket of Scraps by It's Sew Emma is a delightful quilt made using Aunt Grace 1930's feed sack prints designed by Judie Rothermel for Marcus fabrics. This 9 month BOM can be finished as either a 90.5" by 96.5" Queen or a 96.5" by 102.5" King size quilt. Registration is $24.95 and Monthly fee is $25.00/month for 9 months. 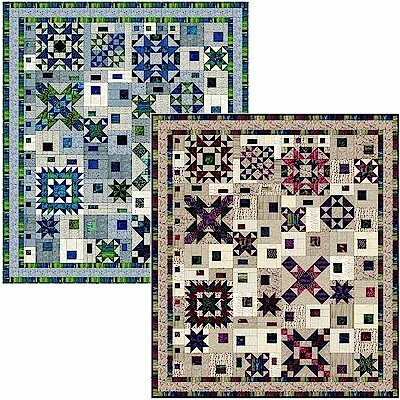 Click quilt image to register for the block of the month or the complete kit option.